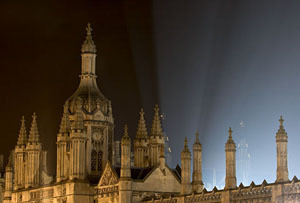 The conference dinner took place in King's College. Photo from Cambridge in Colour, reproduced by permission. The 2005 Developments in Economics and Business Education (DEBE) Conference was held in the Møller Centre, Cambridge, UK on the Thursday 1st and Friday 2nd September. Thanks to everyone who came and made the conference a success. Over the coming weeks, we will add presentation materials from the keynotes and workshops to this site. 86% rated the keynote speakers as "Good" or "Excellent"
89% rated the workshop sessions as "Good" or "Excellent"
Almost all delegates rated the conference as having a strong impact on their teaching.